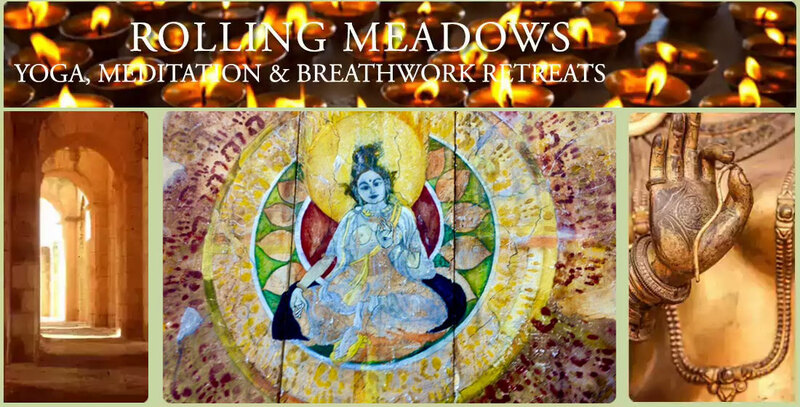 Transformational Women’s Retreats offer a sacred space to expand consciousness and self- Awareness, revealing the unique ways each of us resonate as and with the Divine and nourishing our inner wisdom and intuitive knowing especially important now when old paradigms are no longer serving and looking within is where the deeper resolution and wisdom can be found. Blending yoga asana, silent and guided meditations, sacred movement, Breathwork, self-inquiry, and time in the natural world, and free of distractions of daily life, our energy opens into a direct embodied experience of the mystery behind form, unveiling a reliable foundation from which to live our lives. This embodied approach to our spiritual life allows us to trust our personal way of nourishing connection with the Divine. Practices bring awareness to fears which block us emotionally, spiritually, mentally and physically, while opening our energy to directly experience a profound level of awareness and resonance. In the sacred container of a circle of women, we have the time and space to relax into the ways we access our deepest knowing, and remember what truly matters and sustains us in our lives. This is a highly experiential retreat. Explorations take us thru and beyond classical practices into new fields of discovery. For this reason, everyone is asked to refrain from computers and phones to allow for an undistracted experience. There will be no phones or computers allowed in cars or in rooms and will be collected the first night. The combined intention to unplug from technology in retreat is essential for the focused work of stepping out of ordinary time to experience a new reference point from which to live and to fall in love with our life. An emergency contact number will be provided to give to loved ones. Breathwork is primarily an experience of yourself in relation to your inner landscapes and the innate healing ability of your own breath and your own psyche. To learn more about Breathwork click here. This six nights women’s retreat begins with evening meal at 6pm on Saturday, September 21, 2019 and ends at mid-morning on Friday, September 27, 2019 after a morning session and breakfast. The cost of the 6 night retreat is $1,295.